Väth and his prodigal flock have maintained their pull and integrity in the face of season-long competition. Väth's Cocoon has always been the focus of a certain hushed reverence. It was the first truly underground party to appear on the island at a time when corporate commercialism was in danger of cementing its dominant position. This season, extended sets, a cohort of fresh live acts and a welcome mix of both new and old guards characterised the party with no DJ set ever lasting less than two hours. With flourishing competition an ever-present threat on Ibiza, this summer showed the fraternal respect and love Sven and his troupe command. Amnesia's Main Room boasts what could be the island's most quaking soundsystem. As our backs lay flat against the seven foot sub stacks Väth appeared suffused with his usual amiability. Angling steeply downwards Pig and Dan's Scuttle made its predicted appearance as the party curator fed brass tack techno with a callous militant edge. A prickly forest of skyward palms flocked in and out of existence in tandem with brief ambient interludes before the throes of jackhammering timbres returned. As morning washed into the Terrace next door, Sven's Main Room stretched the night on and continued to rave in darkness, a change of energy, however, creeping into the music. Out rolled a 'best of' selection of the most memorable and beautiful techno tracks of the Cocoon season, including Dominik Eulberg Opel Tantra, Daniel Stafanik Confidence (Adam Port remix), Gregor Tresher Nightcolors and Michael Gracioppo Creep. Cocoon's Amnesia leg continued almost to midday before the afterparty sprite delivered us all to Pacha's clifftop Destino resort. In the open air Sven's records - held aloft - glinted an oily black, the centrepiece to a throng of admiring ravers. Many of the best tracks were revisited throughout Sven's epic marathon set, plus funky beauties like Ame's remix of Radio Slave N.I.N.A. and the instant classic from Agoria Scala. Lasting well into the following night the post-party soiree was a welcome reminder that the buck does not stop with the sunrise; Sven was happily spinning records for hours on end, occasionally sending the sun umbrella positioned above his decks for a vigorous spin too, to the delighted squeals of everyone, every time. Anyone who experienced Cocoon this season will at once attest to the party's family vibe. 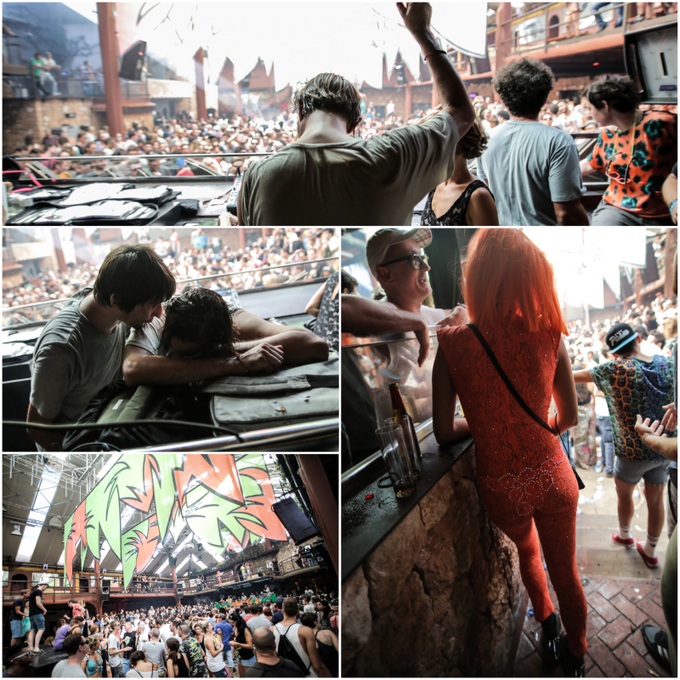 From the hallowed body of Amnesia to the white-washed glitz of the afterparty location Väth and his team maintain a feeling of intimacy completely independent of venue attendance - Cocoon remains an original Ibiza affair. Watch Spotlight's recent film Inside The Cocoon, featuring interviews, behind the scenes footage and some of the best tracks of the season. Words by Michael Huntington, Photography by James Chapman.